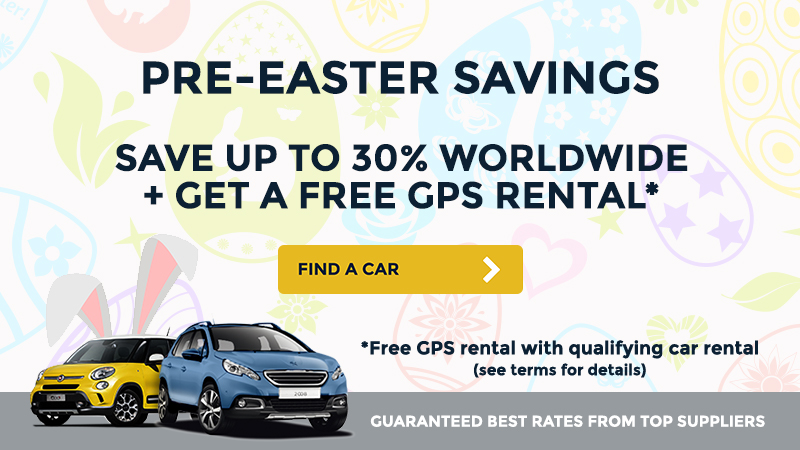 Pre-Easter Savings with Auto Europe - Fugazi Travel Agency Inc.
Offers are valid with all paid car rentals for citizens residing in the United States only and for rentals in specified coverage areas. Shipping fee of $40 covers 2-day FedEx delivery both ways, no Saturday or Sunday deliveries. Five day advance notice required to qualify. Offers can change at any time and are subject to availability while supplies last.